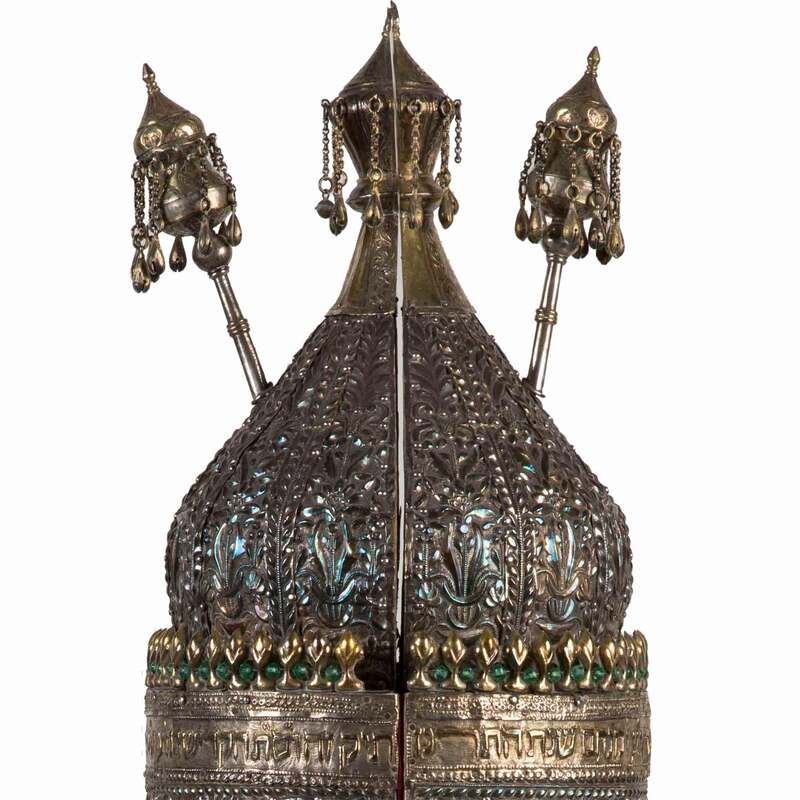 This Torah case, or tik in Hebrew, originated in Iraq, home to one of the world’s most ancient and historically significant Jewish communities. 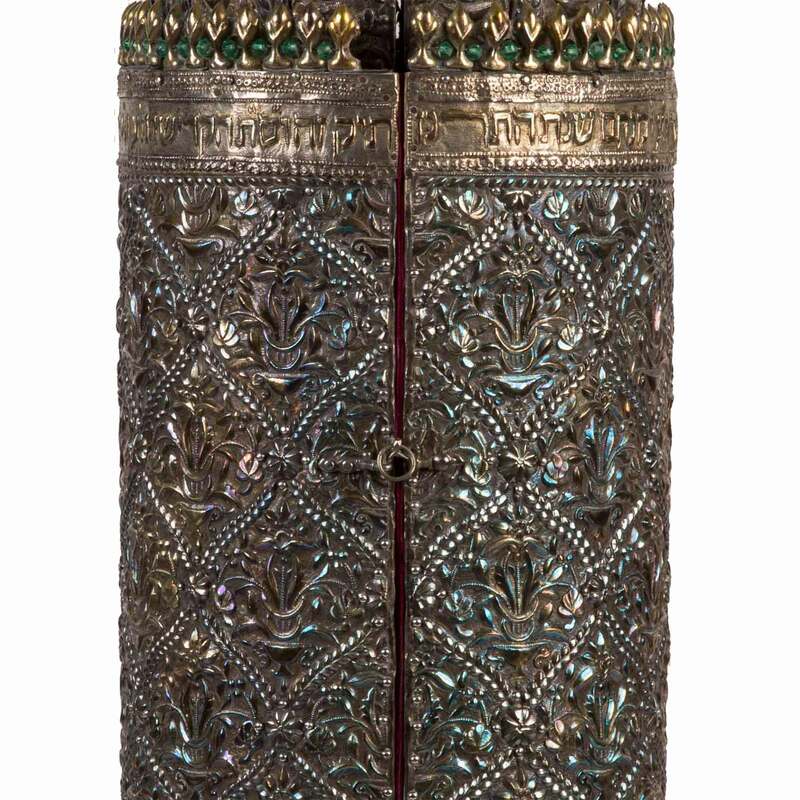 A tik, a type of Torah case, is the Sephardi and Mizrahi manner of housing a Torah scroll. 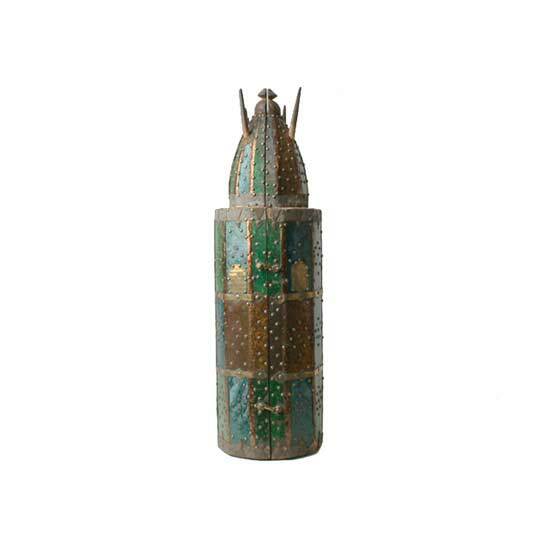 The cylindrical case consists of two equal parts that are held together with a hinge at the back. 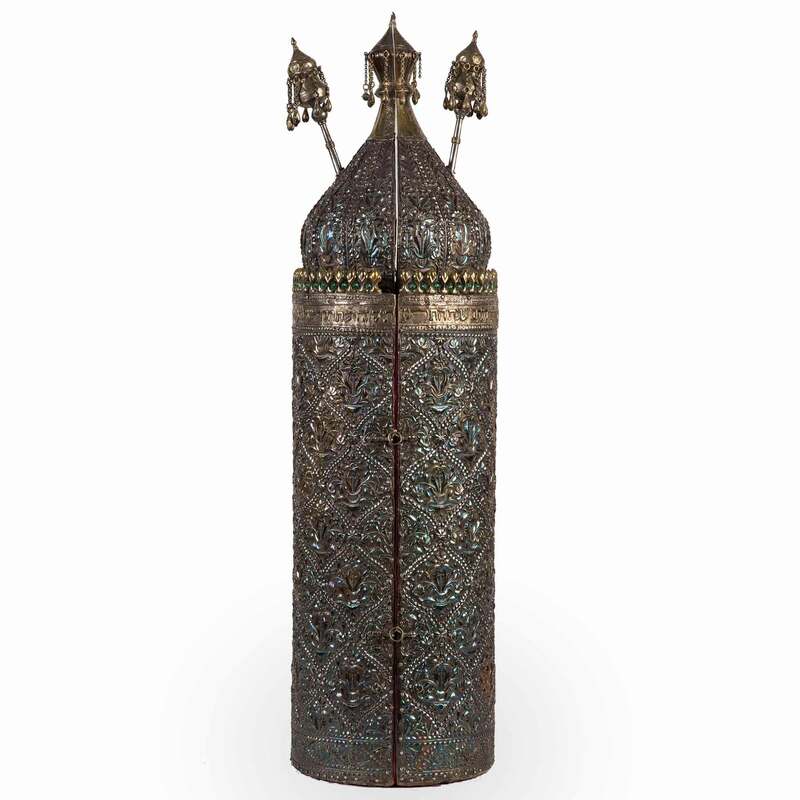 These cases are typically made of wood and may be sheathed with finely worked silver. 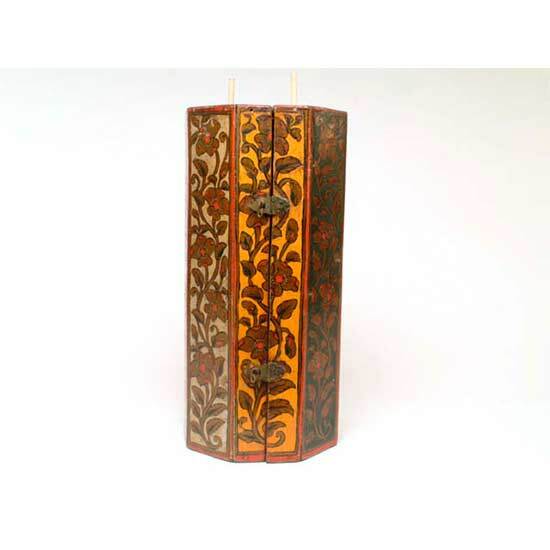 They provide both adornment and protection for the scrolls. 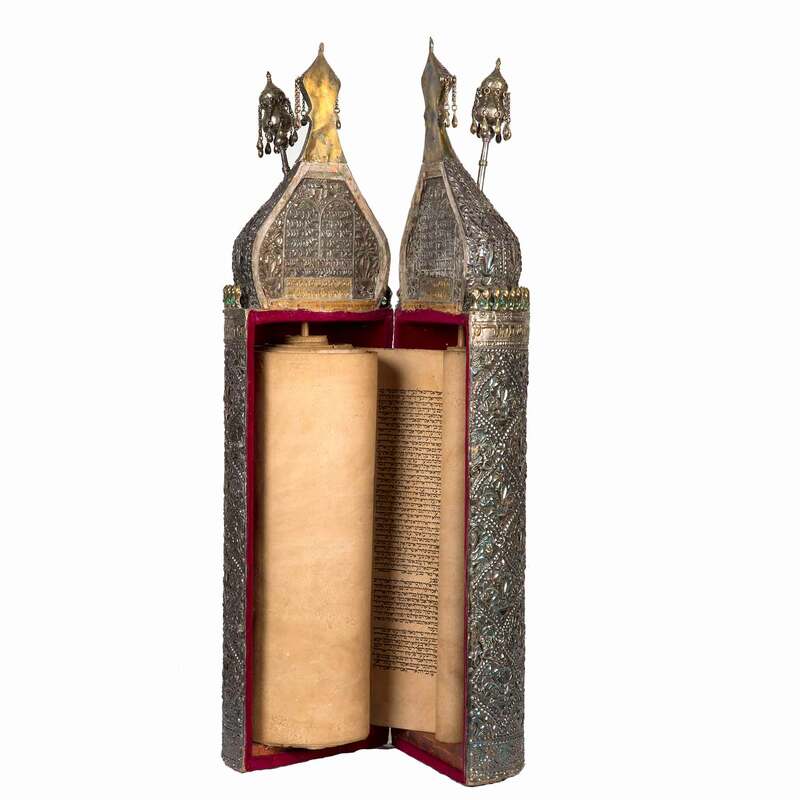 During services, the tik is placed upright on the reader’s desk and the Torah is chanted without removing the scroll from the case. 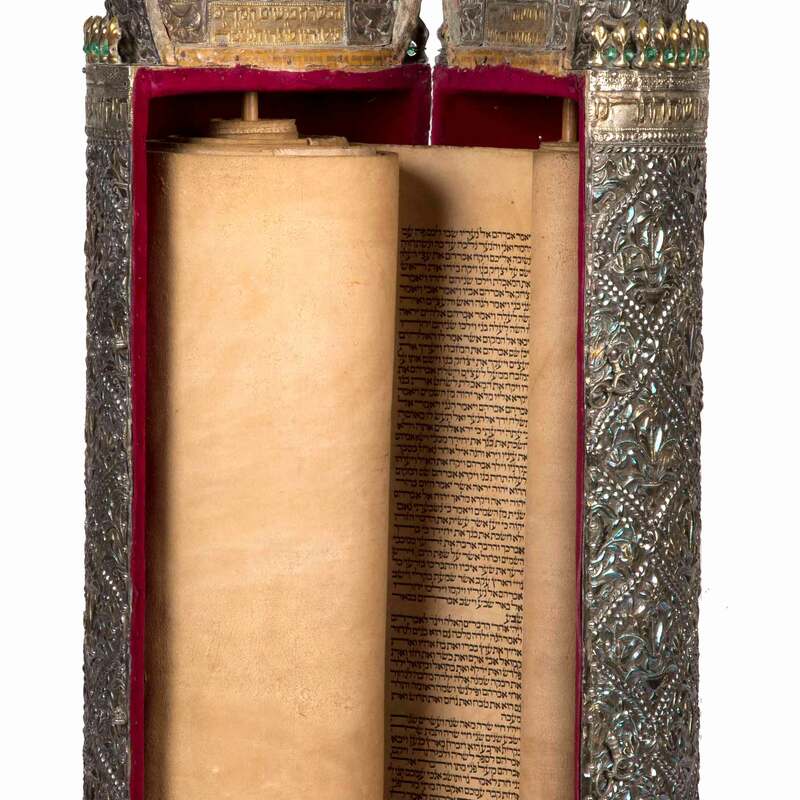 By contrast, in the Ashkenazi tradition, the Torah's dressings are completely removed and the scroll unrolled onto a flat table for reading. 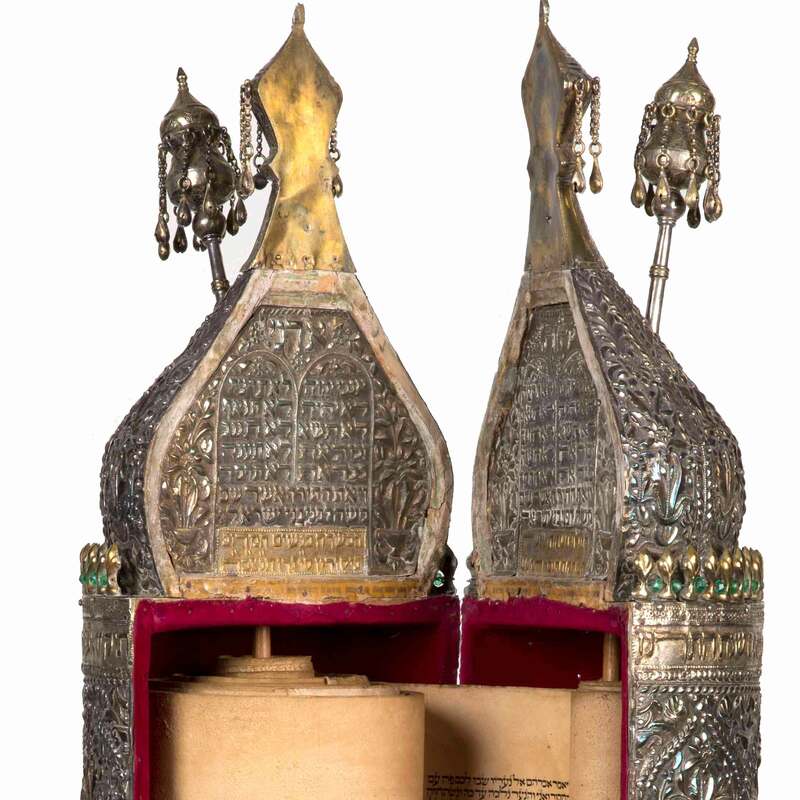 The Spertus collection contains many outstanding examples of Torah cases from across the Sephardi and Mizrahi world. 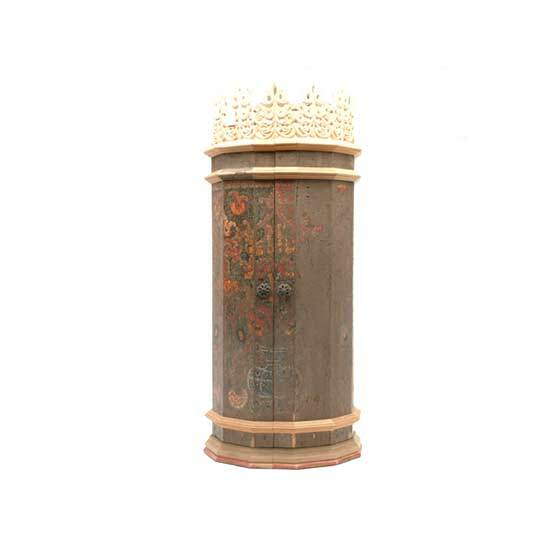 Each culture produced a tik of distinctive shape, material, and decoration. 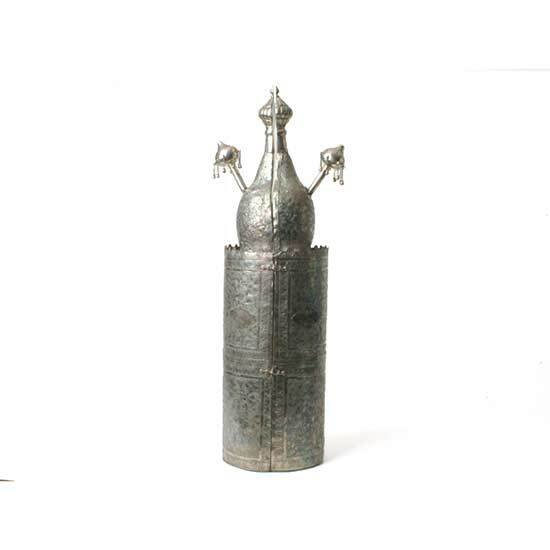 This case’s onion-domed top, miniature finials, scrolling foliate silverwork, and deerskin scroll are typical of the Jewish community of Baghdad. The Iraqi Jewish community dates back to the Babylonian exile and thrived as a center of Jewish learning. In the 20th century, Nazi propaganda and later Zionist activity led to the persecution and migration of Iraqi Jews. Dimensions: 40 15/16 x 11 1/4 in.